Summer is over…Time to get the kids back to school, cooler weather, FOOTBALL and pumpkin everything! 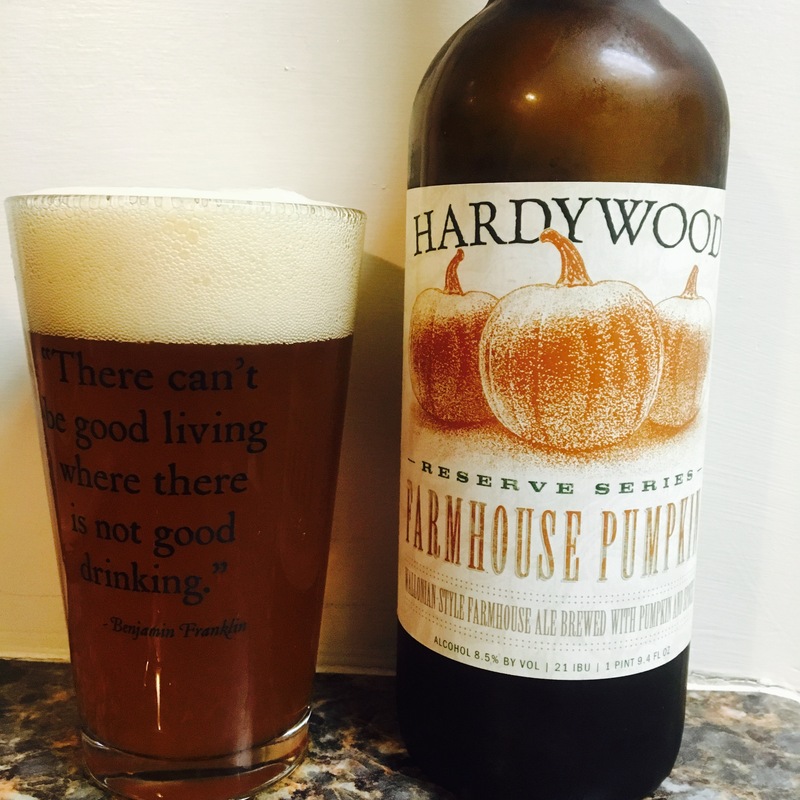 Today I found Hardywood Farmhouse Pumpkin and maybe it’s because it’s been so long or maybe this is just a damn good pumpkin beer. It has a floral scent, a cloudy amber color and a great pumpkin taste. It also packs a 8.5% Alc content, always nice. I can’t wait to try this against last years top pumpkin beers and see how it stacks up then. 4.5 stars.